Winter in Wisconsin is supposed to mean snow…(and ok, cold). NOT rain storms in balmy (relatively) temps! Nitro does fine in snow, in fact, he LOVES snow; loves it when we’re outside shoveling because it’s so much fun to drop the ball in the path of the shovel, only to grab it up at the last minute like Lucy does to Charlie Brown. Yesterday the winter storm that was headed our way turned out to be rain/ice. 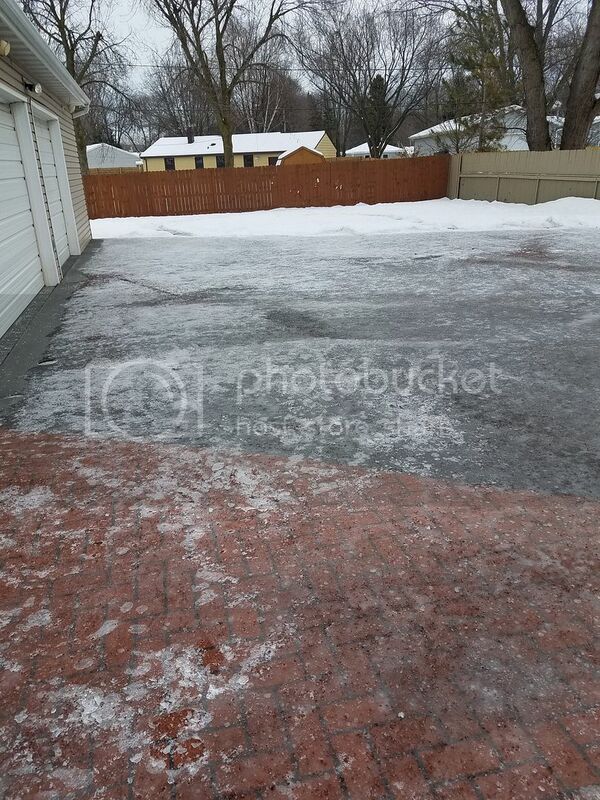 Our backyard is like an ice rink – if only I could remember where my skates are. We have a LOT of concrete the way our yard is set up, and it’s so hard watching him struggle, especially at 2am when he decides he needs to go out. John put his harness on him this morning and practically pulled him along like a sled. 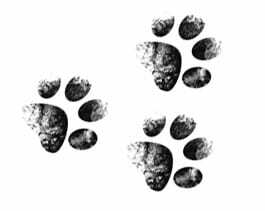 If any new members are facing issues like this, we found a really good, inexpensive, safe product to help a Tripawd (or anyone for that matter) deal with slippery conditions. 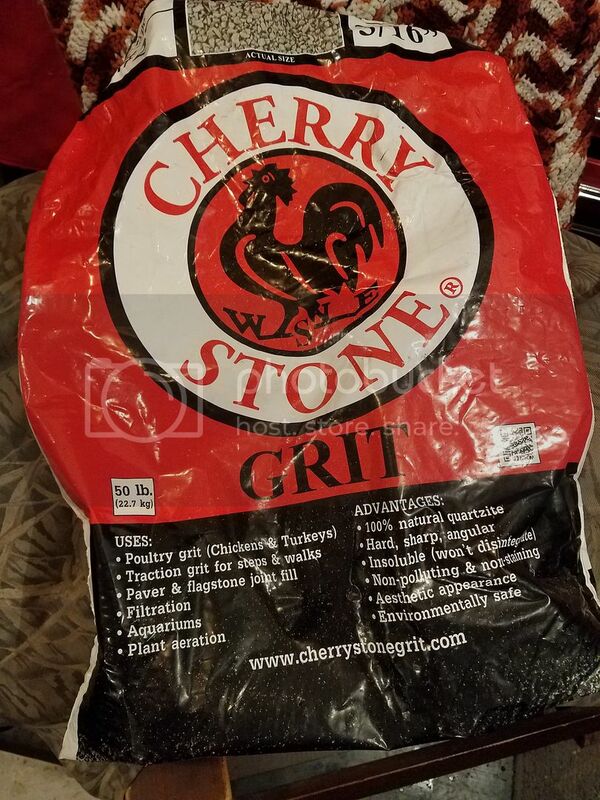 Our vet recommended “Chicken Grit”, which we got at Fleet Farm – you Midwesterner’s probably have heard of it – or online at Amazon. Apparently its something chickens eat to help with digestion; looks like small pea gravel and helps with traction without cutting pads/feet. Great tip, Paula! Thank you. SUPER DUPER tip! Thank you! Glad it works. WAIT! You gave us a visual of John pulling Nitro along like a sled…WITHOUT a video??? BUMMER!! And another great visual of Nitro dropping his all in front of the shovel so you have to stop and through it..WITHOUTa video??? BUMMER! Oh Nitro, you are a wise boy and such a hoot!! Yeah, I’ll take snow anyday over ice!! Thaks for the great tip and bringing it to the forefront. This needs to be bumped forward every Winter. My sweet beloved Happy Hannah was always sooo careful when it came to snow and ice on three. I could simply say “easy” and she instantly slowed her pace and became very deliberate with each step. I’m going to get some for the ramp and some for the steps I use. I’m going to AMAZON SILES with my Prime fee shipping right now! Thanks Paula! You be safe!! Yeah, Nitro knows the meaning of “easy” and “careful”. Next time we get snow, I will video the Lucy/Charlie Brown game we play. youre forum has fiven me a great suggestion as to what to use for Stewie this coming winter! We have a deck that gets very slippery when wet and I can just see the accident waiting to happen! Lots of people have chickens around here, so I shouldn’t have trouble finding a similar product! Glad we could help you and Stewie! Happy snowflakes!